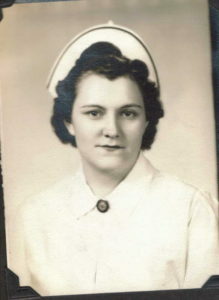 My mother, Captain Alvina Mickels, served as an Army Nurse in evac hospitals near the front lines in both North Africa and Italy during WWII. Her unit was at Anzio and was the backup hospital unit sent ashore after another hospital unit was bombed by the Germans. 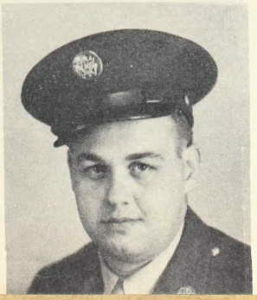 My father, Corporal Lloyd Smith, served as an Army Medical Technician in the Philippines under General Douglas MacArthur near the end of WWII. My grandfather, Private Vernon Smith, served in the 6th Illinois Infantry in the Spanish American War in Puerto Rico. My great great grandfather, Alexander Smith, may have served with a Pennsylvania company at Gettysburg in the civil war. There were several Alexander Smiths serving from Pennsylvania and I have not been able to verify for certain if one of them is my ancestor. My 4th great grandfather, Robert McCready, served in the Flying Camp Volunteer Army with George Washington in 1779 during the Revolutionary War. My 5th great grandfather, James Stephenson, served under the command of his older brother, Captain Hugh Stephenson, who was head of one of the first two companies formed by order of the Continental Congress in 1775. Their company made what is known as the “Bee Line March” from Shepherdstown, Virginia (now West Virginia) to Boston to help the people of Boston in the initial actions of the Revolutionary War. One other 5th great grandfather, David Boyd, who had been captured and raised among an Indian tribe for several years of his early life, later served in a Pennsylvania company during the Revolutionary War. Two other 5th great grandfathers, Thomas Crawford and John Buchanan, served during the French and Indian War. Finding these people I am related to has helped me understand and appreciate our country’s history and the sacrifices to establish and preserve the freedoms and liberties we enjoy as a nation. It is appropriate we celebrate their service today.